Magic Rack® II heavy-duty racking systems use removable support hooks in vertical crossbars to connect multiple tiers. Already painted horizontal crossbars can be adjusted instantly to hold different parts using the protected support hooks in the vertical crossbars. All connecting points are shielded from the paint to maintain a good ground for high quality production. Each horizontal crossbar is rated for 40 pounds evenly distributed, and can be reinforced for even more weight capacity. Assembly is minimal – just two bolts hold the vertical crossbars rigidly into the welded brackets of the top frame. 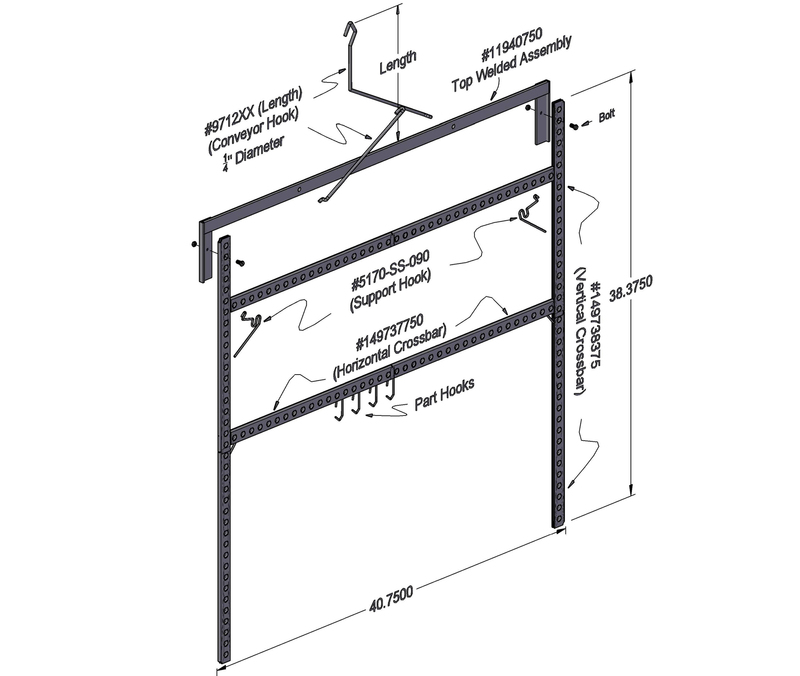 The horizontal crossbars require no bolts or welding and are infinitely adjustable. The Magic Rack® II measures 40-3 I 4″ wide for maximum density eliminating wasted space on the conveyor line. 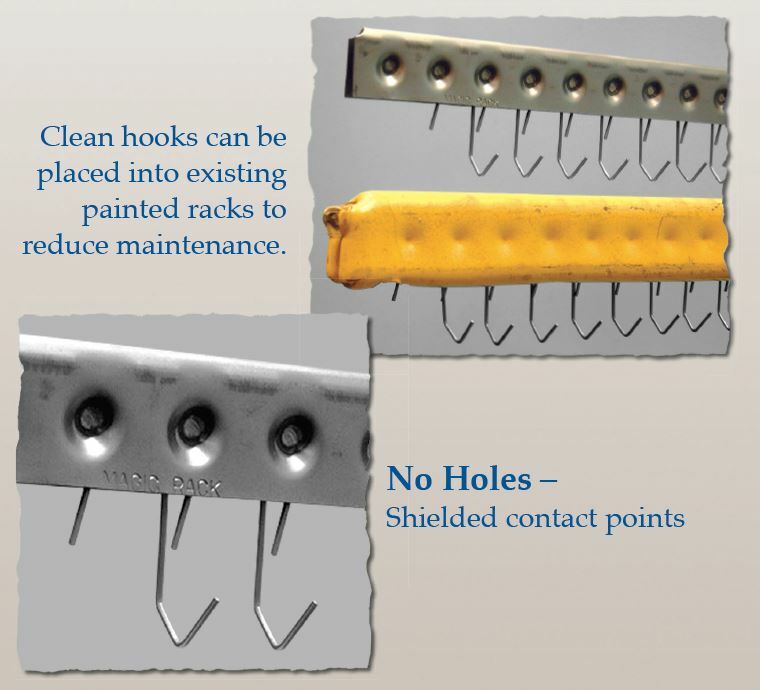 Magic Rack® standard and custom hooks can quickly be removed and replaced. The flexible spring steel hooks lock into the Magic Rack® II crossbar and can be positioned as close as 1″ apart. Common features of our Magic Rack® systems. Our unique patented Magic Rack® crossbar technology protects electrical connecting points from paint build-up to reduce maintenance and replacement costs. 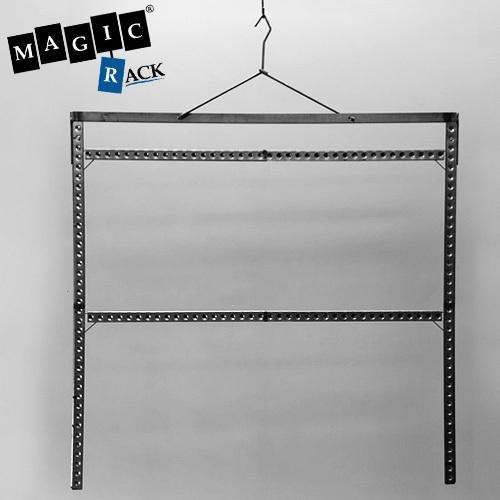 Magic Rack® racks and hooks are reusable over many production cycles by replacing coated hooks without cleaning entire racks. Magic Rack® systems are infinitely changeable to achieve the best parts density. Different parts can all be held and painted on one rack. 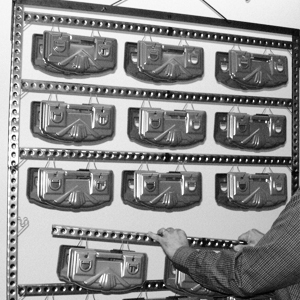 Custom hooks designed to fit the Magic Rack® crossbar can be made quickly to hold problem parts. 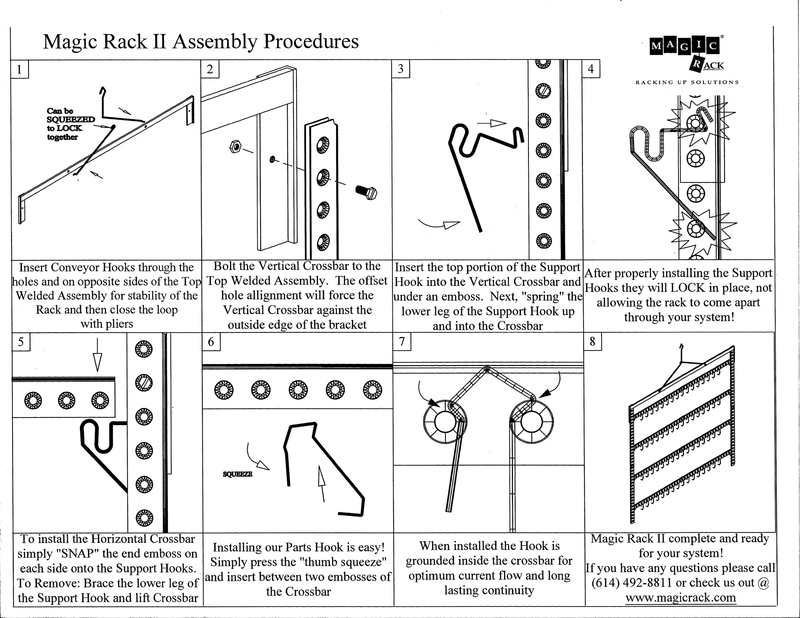 Includes Two (2) complete racks as shown in diagram. Conveyor Hook Length Choose an optionConveyor Hook Length8"9"10"11"12"13"14"15"16"17"18"19"20"21"22"23"24"25"26"27"28"29"30"
Inside Diameter (for hook styles C, E, F and G only) Choose an optionNOT APPLICABLE5/16"1/2"1"2"
Custom widths for crossbars are available. Call for quote. 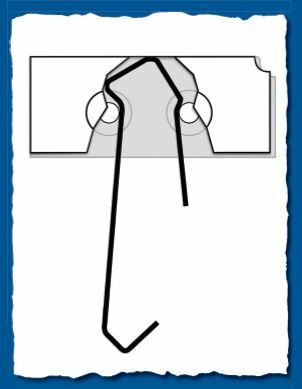 Conveyor Hook Length, 8", 9", 10", 11", 12", 13", 14", 15", 16", 17", 18", 19", 20", 21", 22", 23", 24", 25", 26", 27", 28", 29", 30"
NOT APPLICABLE, 5/16", 1/2", 1", 2"
Conveyor Hook Length Choose an option8"9"10"11"12"13"14"15"16"17"18"19"20"21"22"23"24"25"26"27"28"29"30"
8", 9", 10", 11", 12", 13", 14", 15", 16", 17", 18", 19", 20", 21", 22", 23", 24", 25", 26", 27", 28", 29", 30"